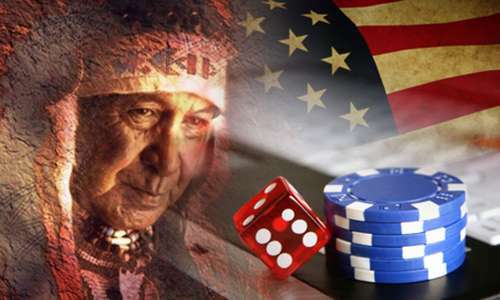 Separate US federal and state cases seeking to permanently block the southern-California Iipay Nation of Santa Ysabel from offering real-money online gambling services to Californian residents have now been combined into a single action by a US District Court judge. In a ruling which was issued on August 21, 2015, but which escaped general media notice, the state-level State of California v. Iipay Nation of Santa Ysabel, et al. and the federal-level United States of America v. Iipay Nation of Santa Ysabel, et al. actions were joined by US Southern District of California Magistrate Judge Nita L. Stormes. The combining of the cases comes after all parties agreed to the joint case, despite some pre-existing differences in the cases as charged and the additional defendants in the original cases, other than the Iipay tribe itself. As part of the combining of the cases, Judge Stormes also issued a new schedule for the trial. As of now, the joint trial is scheduled to commence on February 9th, 2016, before US District Judge Anthony J. Battaglia. The newly combined case is currently early in its discover phase, pending an awaited response by US Department of Justice prosecutors to a counterclaim and third-party complaint filed by the Iipay side earlier this year. In response to the opening of the Desert Rose bingo site, California authorities quickly sought and received an injunction against the tribe’s operation of the site. The accompanying case filed by the state named the tribe, its interactive gaming enterprise and several individual defendants. Several weeks later, the US Attorney’s Office, part of the Department of Justice, filed its own separate case against the Iipay enterprise, offering somewhat different claims as the basis for the federal lawsuit. Both the state of California and the US Department of Justice assert that the Iipay Nation’s offerings violate both IGRA and existing tribal-state gaming compacts in several ways, while the tribe’s countering assertion is that since they have interpreted online bingo’s online incarnation to still be a form of Class II gaming, they simply don’t need the state’s approval to offer the games. Both California and US prosecutors argue that by taking the games online, the online bingo — and eventually, the online poker as well — become Class III gaming instead. The stakes are much higher in this legal tussle than the handful of quarters changing hands during Desert Rose Bingo’s brief operation would indicate. The Iipay Nation of Santa Ysbale remains millions of dollars in debt after the closing of its land-based casino in 2012, which struggled in the face of larger and more conveniently located tribal casinos also serving the San Diego metropolitan market. The case’s major technical consideration — whether online bingo and poker will be defined as Class II or Class III gaming — is also a huge legal point for the future of both US tribal gaming and US online gaming. The outcome of this case is expected to play heavily into the fierce political battle over the proposed legalization of California intrastate online poker, in a separate battle that has seen differing pro-poker factions gridlock themselves in an attempt to shape the future California online-gambling market in their favor. Presuming no further delays in the case, the discovery phase is now scheduled to continue forward through a December 11, 2015 cutoff date. Various motions in connection with the case and the tribe’s counterclaims will be heard in December and January, and a pre-trial conference is scheduled for January 19th, 2016. The February trial itself is expected to take no longer than four days, once it commences in February.